Fulvio Orsini’s description provides enough information to identify his painting with an engraving made about one hundred and fifty years later in Paris and published in the Recueil d’Estampes in 1729. 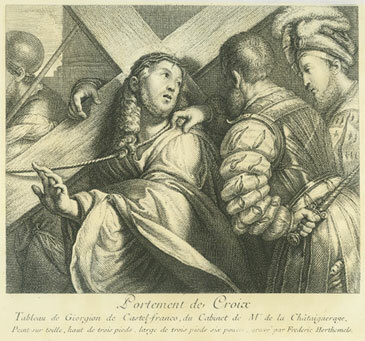 The accompanying text states that the picture had formally been in the collection of the Sieurs Muselli in Verona, and having been recently brought to France, was presently in the Cabinet of a Mr. de la Chataigneraye. The engraving by Frederic Horthemels (1680-1738) carries an inscription stating that the painting was by Giorgione, on canvas with dimensions three feet high by three feet six inches wide. Why has this engraving of such an important painting not appeared in the many recent publications about Giorgione purporting to be thorough, up to date and authoritative? The final fate of this impressive picture is unknown, but fortunately the engraving allows a glimpse of how the original painting appeared not long before it vanished around the time of the French Revolution. Judging by the obvious similarities with two other late works by Giorgione - the Pitti Concert and the Vienna Bravo - the painting probably dates from around 1508 and supports Giorgione’s claim to be the creator of these two other celebrated works. 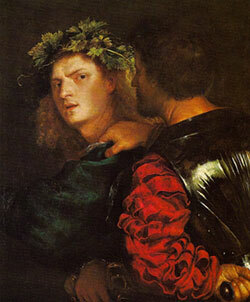 But the costly purchase in Venice, it’s removal to Rome and the reason for concealment - by both Lomellino and Orsini - raise even more problematic questions about this missing Giorgione masterpiece. 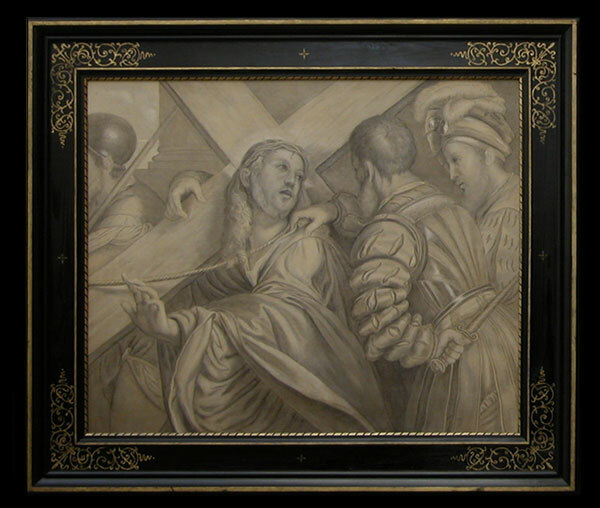 The questions concerning the lost painting’s commissioning, original location and relationship to the present San Rocco Christ carrying the Cross are perplexing to say the least. 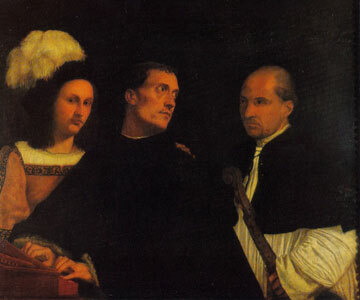 If this painting was in fact the original San Rocco Christ, then someone sold it to the brother of Cardinal Lomellino and it was replaced with the present painting around 1550. 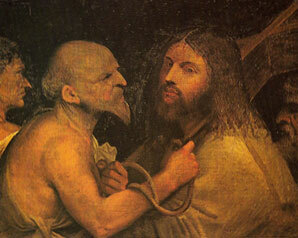 This could explain why Vasari re-attributed the San Rocco Christ to Titian in the 1568 edition of the Lives following his conversation with Titian during his second visit to Venice in 1563. Perhaps the most pertinent question of all and one that has never really been addressed is why so many people in 16th century Venice were devoted to the original painting, a painting they believed performed miracles!